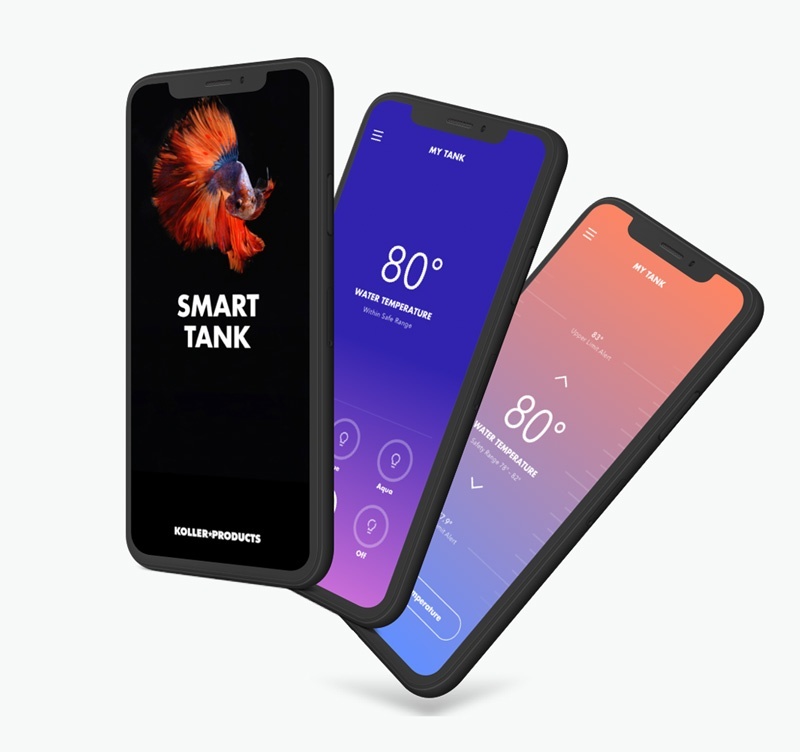 Koller Products teamed up with Very to design and build Smart Tank, the first internet-connected desktop aquarium on the consumer market, and a cross-platform mobile application. Founded in 1941, Koller Products is no stranger to innovation in the pet accessory marketplace. Koller Products is known for being the first manufacturer of plastic desktop aquariums, and now the first to bring internet connectivity to their products. Koller Products came to Very with a vision — to bring the first internet-connected desktop aquarium to market. Many other companies had been working on the idea of an IoT fish tank for several years at this point, but none had been able to deliver a viable product. The team at Koller Products was ready to partner up and create a system of hardware, firmware, and software to finally bring this vision to life. By keeping the initial scope small, and partnering with the right software design & engineering firm, Koller Products could deliver a viable product to market quickly, and get the elusive first-mover advantage. After meeting with a number of consulting firms, general manager Dennis Milford chose Very for our deep understanding and multi-disciplinary experience in hardware and software. "I wanted a company to work with that stands behind the work they do, will be there to help with future development, and ultimately the firm that had the most experience. That’s why I chose Very." The engagement began with an in-person Product Strategy Sprint at the Koller Products headquarters. 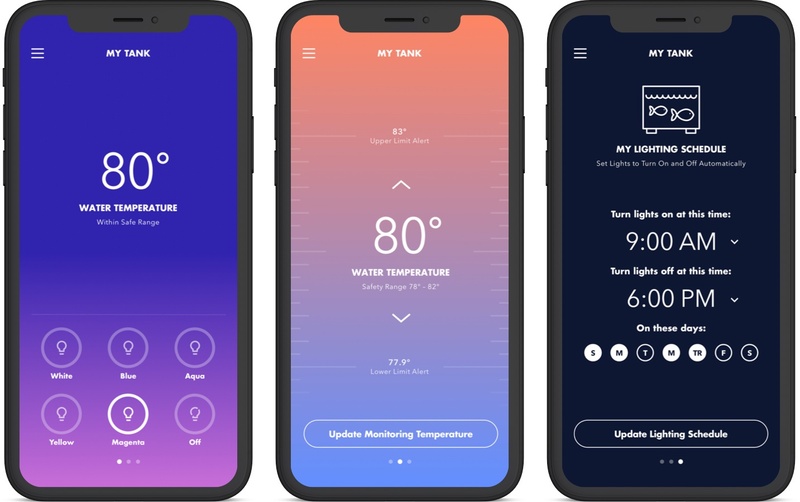 The initial wishlist of features for the tank and mobile application was quite extensive, so we worked with the Koller team to help prioritize features. We conducted our Needs, Wants, Desires exercise with the team, and gained the understanding needed to design and build features required for the minimum marketable product (MMP) — notably temperature sensing, and dynamic lighting controls. Part of our day-to-day interaction with any client is the daily standup meeting. During these short meetings, the team goes over the previous day’s work, any successes, and tensions, and strategize for the current day, as part of our [typically] week-long iterations. The Koller team had never had this frequency of communication with previous partners before and were apprehensive of the value this brought to the project. But after a week of participating, the value was obvious. By staying in constant communication with the Very team, the Koller team was able to get real-time updates whenever they needed something and able to make course corrections along the way to make sure the vision for the product came to life just as invisioned. Hardware engineering kicked the project off with an IoT Discovery Sprint to fully understand the requirements of the product vision. The outcomes of this research informed not only hardware component recommendations like temperature sensors, LED lights, and a microprocessor to control it all, but also informed the framework for which the device firmware is written in. Keeping the price per unit in consideration while making recommendations on components and frameworks was paramount during this invaluable two-week phase. In tandem with the IoT Discovery Sprint, our user experience team kicked off a Product Design Sprint, where they designed out See | Do maps (a hybrid of app architecture and user flows), and wireframes to outline a minimally viable product (MVP). By doing this, the high fidelity (HiFi) design process goes much faster because we know exactly how we want an application to behave before we start designing a detailed UI. From these early-stage design deliverables, we also have a clear roadmap of the product’s feature set to take into the HiFi design phase, and to hand off to software engineering to start architecting the backend of the app. Now it was time for the Very software engineering team to get to work on building out the app’s data structure. A major part of this process is making sure that all of Koller’s customer data is secure. 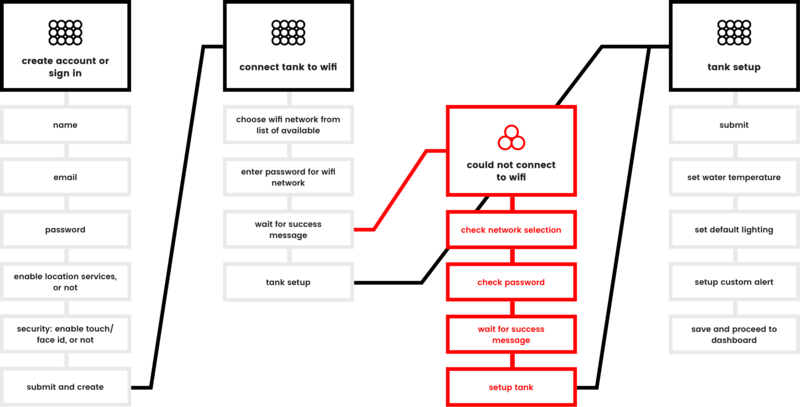 All data stored locally on the end user's device is encrypted and all communication between the device and the web server is encrypted both at rest and in transit. The Koller team needs to have both an iOS and Android application, so React Native was chosen for our front-end framework to stay within budget. Koller’s hardware requirements meant we couldn’t use our preferred combination of Nerves and Elixir, so we decided to use Arduino’s C++ framework instead, and added custom C++ libraries as necessary. The entire product ecosystem is now in Very’s hands because we set specifications for the hardware design, and developed the firmware & software. If Koller needs to change something with hardware, we are able to immediately address changes with updates to the firmware and software. By delivering the iOS application on time and on budget, we ensured that Koller’s connected fish tank stays on track to be the first of its kind to market. Shortly after wrapping up design and engineering on the iOS app, the Android app was ported over in React Native. 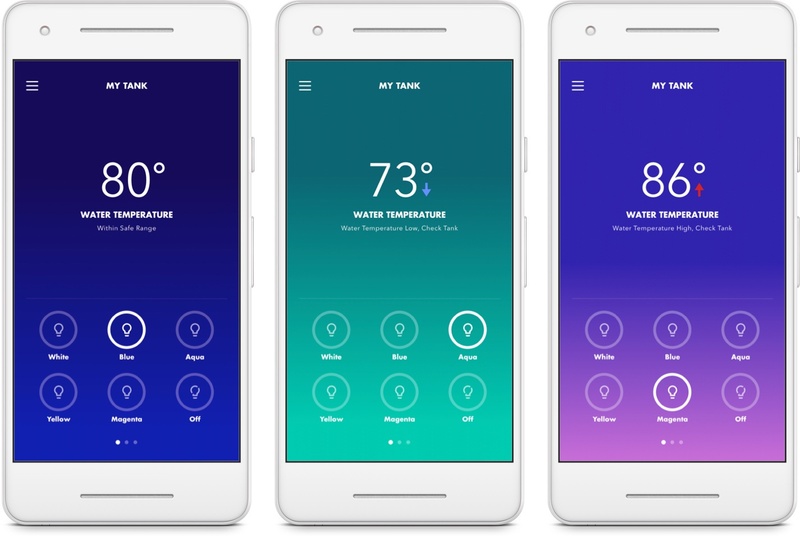 As Koller begins to manufacture the fish tank, they can rest easy knowing that both platforms of the app are accepted into their respective app stores, and are awaiting user downloads. But this is just the beginning of the connected fish tank experience for Koller Products. Future iterations will focus on adding valuable features for the end-user from the initial Needs, Wants, Desires exercise.